RB5 Dull Phosphor.Printed on SBP2u Upright Security Backing Paper (2 lines). 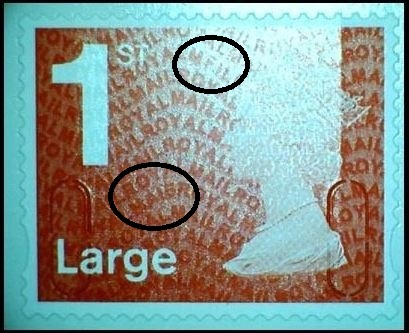 Pane SAP168 from Booklet of 4 LARGE 1st Class RED stamp from Walsall Booklets of 4 in Gravure with Security Code MFIL and MA15 plus "U" slits. 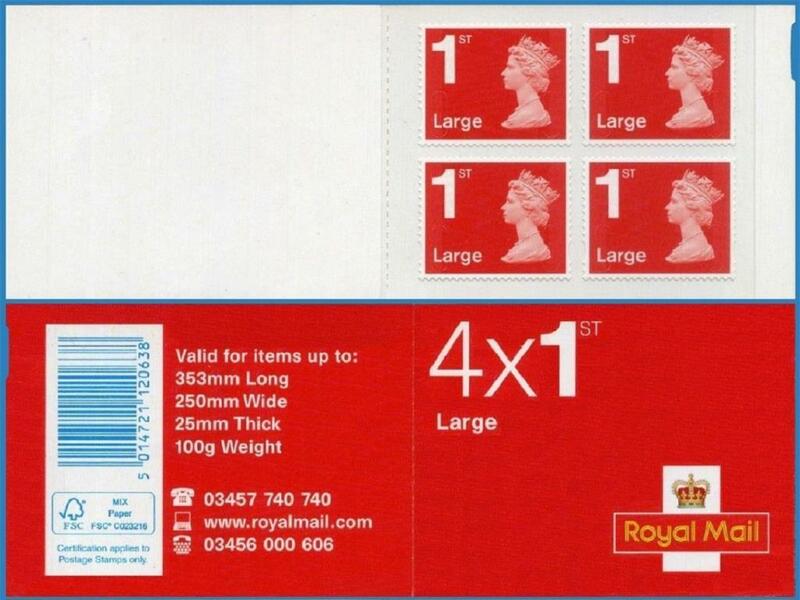 Notes: This booklet was released very late in the year with Special Backing paper added AND the stamps have DULL phosphor (RB5) so is quite difficult to find as it had a short shelf life. The previous booklet, the original RB4c booklet, has the blank paper backing (BPB) and is listed elsewhere on the site if stocks are still available.